Handling the information is a time-consuming and challenging process within the mortgage industry. 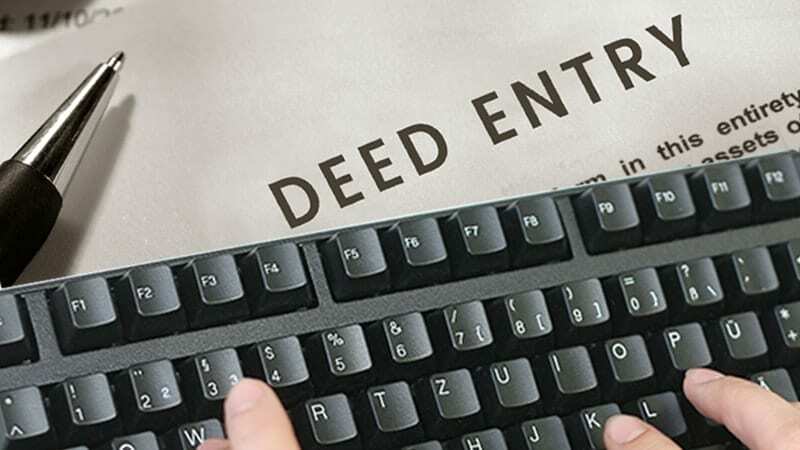 We, at Scanning and Indexing will assist you with the deed entry services at an affordable rate. We possess an excellent team of data entry operators who will attend to your data entry requirements within the specified time. We are highly capable of delivering accurate and reliable services. When you provide the information related to your deed to us, we will make sure to safeguard your documents in a highly protected manner. Our professionals will analyze all the related information about your deeds and digitalize them in a format, as per the client’s needs. We are also pioneers in offering effective mortgage claim processing services and also assist the mortgage industry from the hassle of processing bulk amount of mortgage related data. Foreclosure is an action of taking away the possession of a mortgaged property when the mortgager fails to maintain their mortgage payments. At Scanning and Indexing, we are specialized in handling both the judicial and non-judicial foreclosure services for numerous clients. Our professionals are ready to assist the private owners, lenders, and banks to foreclose the property deals.